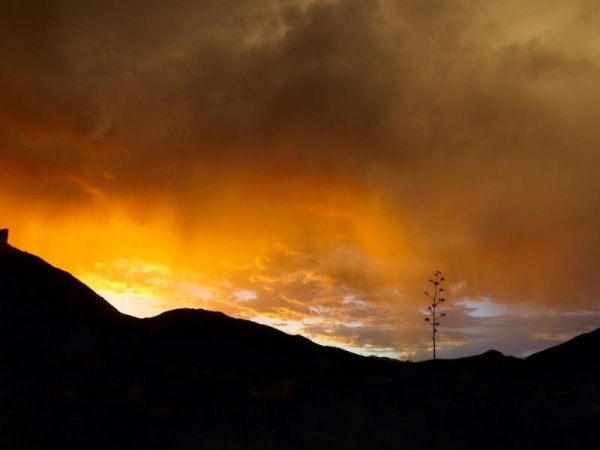 News from Reed & Cave Creek Ranch! 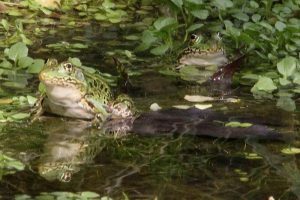 There are now over 130 frogs in the frog pond and multiple new groups of tadpoles from new egg masses this summer! 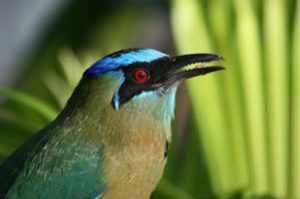 See below for a late January getaway to idyllic Belize, with fabulous birds and Mayan ruins. Book before Oct 20 and save $150! Many people don’t think of coming in the Fall or Winter, but you should reconsider. Come see those crystal blue skies, breathe the clean air and listen to the quiet. The skies are incredible at night, with millions of stars. This Trip is organized by Peg Abbott of Caligo Ventures and Naturalist Journeys. Like our trip to Trinidad this past June, this will be for guests of Cave Creek Ranch. Peg has chosen two of Belize’s finest and best-known naturalists’ lodges: Chan Chich Rainforest Lodge, and Lamanai Outpost Lodge. We can enjoy camaraderie, good food, and venture out on field trips to other habitats: savanna, marsh, and riverine. For those with interest in Mayan ruins, an exciting place to explore is close at hand just as we reach Lamanai! Just a two-hour flight from Miami, the country of Belize offers a rich blend of Mayan ruins and lush forests that are still wild enough to host jaguars and a rich diversity of tropical birds, butterflies, mammals, and other creatures. The country’s warm, hospitable people speak English (with Spanish as a second language), and have a strong tradition of caretaking their country’s great biological wealth. We hope you will join us for this in-depth exploration of Belize’s biological treasures and deep cultural roots. Emphasis will be on birding, but we will examine many aspects of the natural history, the country’s Mayan heritage, and we’ll aim for some simple, relaxing fun. 1. 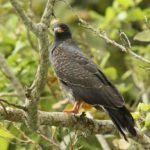 GREAT BIRDING AND MORE! 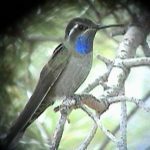 Belize offers a wonderful combination of some of the best birding in the Neotropics, alongside a chance to learn about Mayan Ruins, and to enjoy general natural history where Howler Monkeys, a rainbow of butterflies, tropical fruits, and plants of habitats ranging from wetlands to lush tropical forests are just outside your door! Spending time in the tropics does not have to conjure up visions of sweat, insects, and heat. 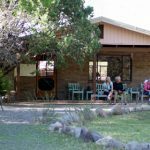 Reed has chosen lodges that like Cave Creek Ranch, carefully cater to your comfort, providing just the right amenities but not over the top. He sets a pace that allows for siesta in the heat of the day, or a dip in the pool or lagoon. Enjoy some great dining, with local foods and the camaraderie of like-minded friends that enjoy the ranch. We choose just two lodges for the week stay, so a lot of time is not spent on logistics. 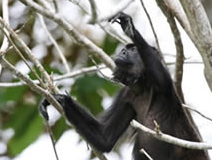 Our stay is at two of Belize’s most prized lodges: Chan Chich Rainforest Lodge, and Lamanai Outpost Lodge. 3. SO EASY TO GET THERE! This is a quick, easy week-long getaway! Belize City is easy to get to, with almost every airline serving Philip S. W. Goldson Airport, Just a two-hour flight from Miami. There are flights from other gateway cities as well, allowing most of you to arrive in time for the very fun transfer by boat and van to Lamanai Outpost Lodge the same day – nothing like getting right into the fun! If you wish to extend, we can help. 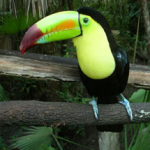 Belize is a safe and modern country to visit and enjoy tropical birding and some relaxation. It is an English-speaking country, further easing your logistics! There are no high mountains or rugged trails, you can focus on birding along paths that go out right from the lodge. At days end, try a “Panther River” cocktail (Coconut rum and pineapple juice) to celebrate your arrival. 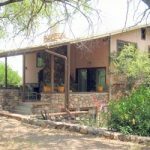 Through October 20, save $150 per person, with a special offer to friends of Reed Peters and Cave Creek Ranch! 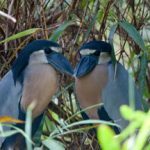 Birds – Naming a few of the birds we hope to see! Limpkin, Northern Jacana, Swallow-tailed and Snail Kite, Black-collared Hawk, Jabiru Stork, Black Catbird, Rose-throated Tanager, Yucatan Jay, and Gray-throated Chat, Gray-headed Tanager, Red-throated Ant-Tanager, Tawny-winged and Northern Barred Woodcreepers, White-whiskered Puffbird, Barred Forest-Falcon and perhaps a Great Tinamou, Neotropic Cormorant, Yellow-crowned Night-Heron, Mangrove Swallow, Purple Gallinule, White-collared Seedeater, Mangrove Vireo, Ruddy Crake, American Pygmy Kingfisher, Boat-billed Heron, Gray-necked Wood-Rail, Agami Heron, Yucatan Nightjar, Yucatan Poorwill, and Common Potoo. 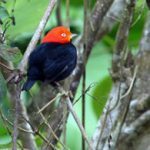 Find fabulous birds of many unique Neotropical families, including toucans, puffbirds, motmots, jacamars, ovenbirds, woodcreepers, antbirds, and manakins, dazzling tropical tanagers, woodpeckers, euphonias, and honeycreepers. 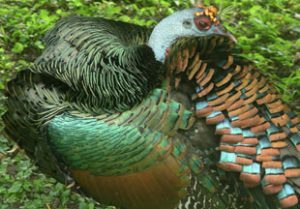 Ocellated Turkey, Great Curassow, Crested Guan, Ornate Hawk-Eagle, Mexican Antthrush, Rufous-tailed Jacamar, Royal Flycatcher, Tody Motmot, Purple-crowned Fairy, Long-billed and Stripe-tailed Hermits, both Red-capped and White-collared Manakins, Bat Falcon, White Hawk, Black Hawk-Eagle, and Plumbeous Kite, Blue-crowned Motmot, Montezuma Oropendola, Strong-billed Woodcreeper, Spot-breasted Wren, Rose-throated Tanager, Gray-throated Chat, Yucatan Flycatcher, Pheasant Cuckoo Ruddy Quail-Dove, Great Curassow, or Scaly-throated Leaftosser, Mealy Parrot, Olive-throated Parakeet, Ornate Hawk-Eagle, Bare-throated Tiger-Heron, Pinnated Bittern, Tropical Pewee, Giant Cowbird, Fork-tailed Flycatcher, and Laughing Falcon, Cinnamon Becard, Black-crowned Tityra, Black-cheeked Woodpecker, Golden-hooded Tanager, and Yellow-throated Vireo. 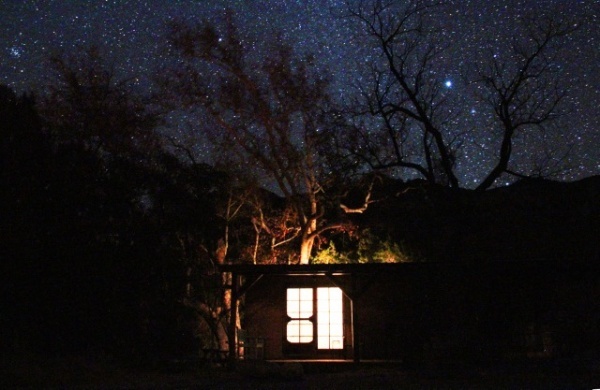 Chan Chich, is also great for mammals, we feature a Night Drive there. This is one of the few sites where you actually have hopes of seeing a Jaguar, Jaguarundi, or Ocelot in the wild. More frequently seen are White-tailed Deer, Northern Tamandua, Four-eyed Opossum, Gray Fox, and night birds such as Common Pauraque and Common Potoo. The cost of the journey is $3490.00 ($3350.00 Special price to Cave Creek Ranch through October 20!from Belize per person, based on double occupancy. Single supplement (subject to availability) is $895.00. The cost includes all accommodations; all meals as stated in the itinerary; group airport transfers; in-country charter flights, ground transportation within Belize; professional guide services; park, preserve, and other activity fees; and miscellaneous program expenses. Tour price does not include: roundtrip airfare to and from Belize City or items of a personal nature such as laundry, porterage, telephone charges, or alcoholic beverages. Gratuities for maids or porters, and gratuity for your local lodge guides and staff in Belize are not included, at your discretion, but highly appreciated and recommended. If our participant number is fewer than 8, we will still be able to run the tour using our talented local guides, all people we have worked for over the years. With 8 or more guests Reed Peters of Cave Creek Ranch joins you. There is a limit of 13 guests on the tour. Please plan to make air travel plans only after the minimum group size has been reached. Please arrive in Belize City at the Philip SW Goldson International Airport no later than 3PM on January 29. There are two scheduled transfers this day to reach the lodge, at approximately 11:30 AM and 3:30 PM, so plan arrival in Belize City if possible to meet one of these shuttles. A private transfer is available for additional cost (minimum $100, shared or single) if you must come in later or experience significant delays.